Santa Claus spreading the message about love and Christmas spirit to the whole world from here. The Santa Claus Village is one of the largest tourist culture attractions in Finland. From here tourist from all over the world sends relatives and friends greetings. You will find one of Finland`s largest tourist culture attractions in Rovaniemi in the Arctic Circle in Lapland. 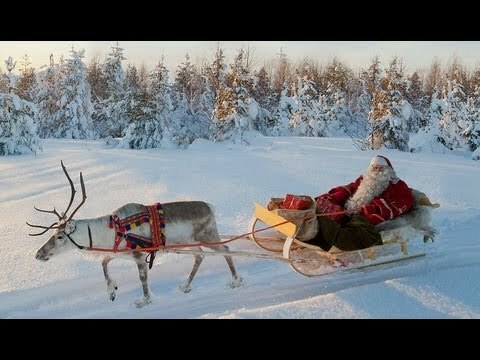 When Santa Claus revealed his news about his hometown in the beginning of the last century, Ear Mountain (Korvatunturi) in Rovaniemi suddenly became famous. The great secret spread to the rest of the world, and in order to retain the privacy of his secret location, the Elf-folk decided to build a place where Santa could meet people from near and far at the Northern Arctic Circle. Every day of the year Santa Claus spends his time at the Santa Claus Village taking care of his mission in life; to enhance the well-being of children and the kindness of grown-ups, as well as spreading the message love and goodwill of Christmas Spirit throughout the globe. You`ll really feel the atmosphere about Santa and all kinds of amazing adventures and accommodations offers to meet you here. Welcome to the colourful Christmas world of beautiful cards, stamps and unique gifts.